Photo via Central Lake Public School website. Kari Groll is a former kindergarten teacher at Central Lake Public Schools who retired after the 2017-18 school year. The small Antrim County school district has in the past honored Groll for her teaching. “From the beginning of the school day to the very end when she personally walks them to their buses, Mrs. Groll is the ideal supportive, caring, and energetic teacher for our Kindergartners. Thank you for what you do each day, Mrs. Groll,” the district wrote when it named Groll a teacher of the week. 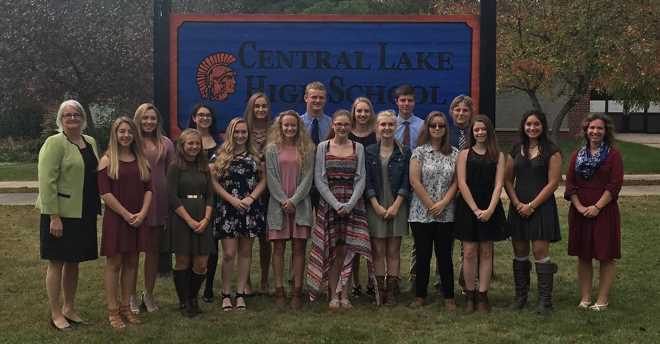 But Central Lake is one of many Michigan school districts that have responded to a state requirement to have a merit pay system with a token gesture: It pays its best teachers an extra dollar. And in the 2016-17 the district granted this bonus to all of its teachers. School districts assign their own teachers to one of these four rankings, with objective measures of student growth (state-administered test results) counting for just half the score (and that's only as of the current 2018-19 school year). In 2016-17, the latest year for which data is available, the district rated 13 of its 24 teachers “highly effective,” and the rated the other 11 “effective,” making them all eligible for the merit pay bonus of one dollar. Superintendent Lenore Weaver did not return a message seeking comment. Michigan Capitol Confidential is reviewing how school districts statewide have responded to the 2010 law requiring them to create a merit pay system. The law requires districts to make job performance a “significant factor” in determining teacher compensation. There were 406 school districts that responded to the open records request. Of these, 175 reported they had no merit pay system, and 231 districts stated they had some form of merit pay. But many of those 231 districts, such as Central Lake, appear to be out of compliance with the 2010 law’s requirement that merit pay be a “significant factor” in determining teacher compensation. The average teacher salary in Central Lake Public Schools was $52,790 in 2016-17, almost $10,000 less than the state average of $62,280. The top of the union pay scale for the district is $64,745.